It took me a bit to get into Change of Heart. I found the way it was written and the conversational patterns of the characters to be overly stilted, which was a bit off putting for me. It made me wonder whether English was the author's second language. But, once I got past that, the story was well written and the primary characters were fairly well rounded and developed. To write much more than is in the book's description would take away from the reader's experience of the story and give away critical plot twists. 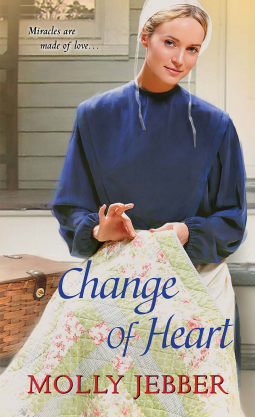 All in all, this book was an enjoyable read and I recommend it to anyone who enjoys Amish Fiction.